A Central Asia report from SGA’s Alex Pashkovets. Dear brothers and sisters, peace to you! Merry Christmas and Happy New Year! 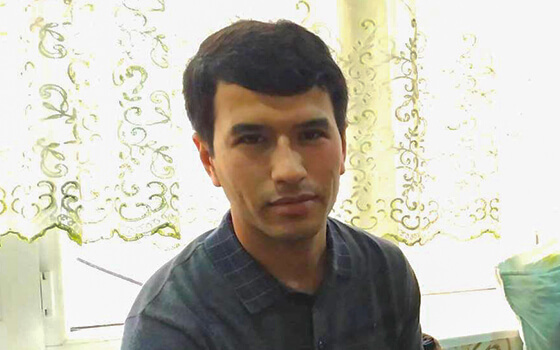 Please pray for our brother Luka* from Central Asia. Luka turned to Christ in November 2018. His brother Igor* believed 2 years ago and witnessed to him. In the middle of November 2018, together with ministers of a church we visited, he prepared a meal and invited his brother Luka and some of his friends who do not know Christ. For the whole evening, we had the opportunity to proclaim the Gospel and answer their questions. Two days later, Luka turned to Christ in a home church in Central Russia. Luka, at that time, worked as head teacher of the secondary school. He began to testify about his faith in Christ and it resonated through the school. After that he was invited by the principal to his office, where all the teaching staff gathered. They began to reproach him and say that some students said that he wanted to convert them. These events took place last year. Today, I received a message from the brothers that the school principal yesterday invited Luka again and made a condition either to turn away from his faith or write a letter of resignation. Luka chose the latter, and he wrote a letter of resignation. Now he is left without work and asks for our fervent prayers that God will provide a job for him and protect him. Please pray with me to that end! “Again I say to you, that if two of you agree on earth about anything that they may ask, it shall be done for them [a]by My Father who is in heaven. For where two or three have gathered together in My name, I am there in their midst” Matthew 18:19-20 (NASB).